You have a friend and don’t even know it. It is witch hazel. It is good for your skin, it’s cheap, and it’s natural. No side effects at all for this skin treatment. The packaging is simple and can be found near the rubbing alcohols and hydrogen peroxide bottles in your local beauty section. Plus one bottle that costs under $2 lasts about 3 months. It clears up acne, shrinks pores, cleans gently, and reduces redness. I have been a life long acne sufferer. It has been almost 30 years now and I still get those familiar breakouts. However, I found a great deal of relief from this about 5 years ago. I had spent hundreds on this treatment or that solution but nothing really worked. Or the effects were only temporary. One day I was goggling as we all do and found a holistic thread on acne. I discovered that witch hazel has many wonderful side effects as well as an acne treatment. One of them is that is reduces pore size. It is an astringent that is made from bark that naturally and without side effects. This is an issue that we all think about I imagine. Our pores grow larger as a result of being irritated from products and make up. The witch hazel simply removes the irritants and soothes the angry skin. It is good astringent for sensitive skin. I have had problems finding a product that didn’t irritate my skin with its harsh chemicals but still worked at cleaning it. It is so gentle that you will not even really feel any burn. Once applied with a cotton round or cotton ball you can feel your skin start to breathe. I know that sounds strange but that is how I describe the feeling. My pores were open and my skin felt soft and clean without being irritated at all. A good application of witch hazel can also reduce redness of any skin condition. It is a soothing agent made from all natural bark. 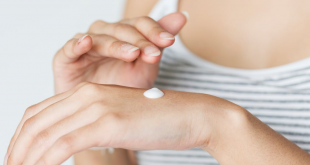 The delicate balance of skin can be upset for so many reasons it’s impossible to list them all. The result is redness and dryness as well. Witch hazel is a good astringent for this because it is gentle and will also clean out the element that has caused the irritation. As if the many listed uses were not enough I have just one more among many. Witch hazel can be put on a cotton ball or round and placed under eyes to reduce under eye bags. This can make you appear younger over time and get rid of the cry puffiness we all get. With all the natural choices for beauty why not try it. Since I have listed benefits of witch hazel I will not suggest ways to apply it. You can take it and pour it directly on a cotton round or cotton ball and rub it against the skin. The solution can also be watered down if needed and applied to the skin as described previously. When applying just be gentle and rub it against skin it is not an exfoliant so don’t rub hard. If you need more do not use the same cotton get a fresh one or you will contaminate the bottle. I recommend that you apply this product when you wake up and before you go to bed. I also carry in my purse a baggie with some soaked pads for the afternoon to prevent oiliness. It is gentle so you can apply it up to 6 times a day. If I am going out and need to put on make up I do an application so I have a clean skin surface. It is one of the few products that are not going to hurt you. 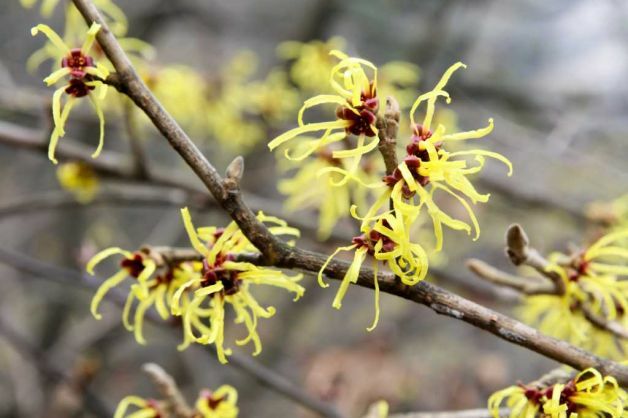 There are some unexpected things you will notice about witch hazel. It has a smell kind of an earthy smell. It is hard to describe but once you get a bottle you will know what I am talking about. I no longer notice this however after about 3 weeks so there is hope. If you can wait that long than the results will be well worth it. I wish I would have tried this first as it is the cheapest and easiest treatment for skin irritations. Also you might notice that your skin gets a little worse. That is normal and good. Your pores are shrinking and the stuff in them that doesn’t belong is coming out. This can cause break outs or break outs to get worse. But this does stop and you will be left with clear skin. My witch hazel break out as I named it lasted for about a week and than I woke up one day with clear skin. Does it shrink/remove skin tags?